My sister Mary and I are going to Everest Base Camp as part of the Xtreme Everest research project because we are identical twins. People seem to find identical twins quite unusual. But in our family they’re two a penny…. First there’s Mary and me. 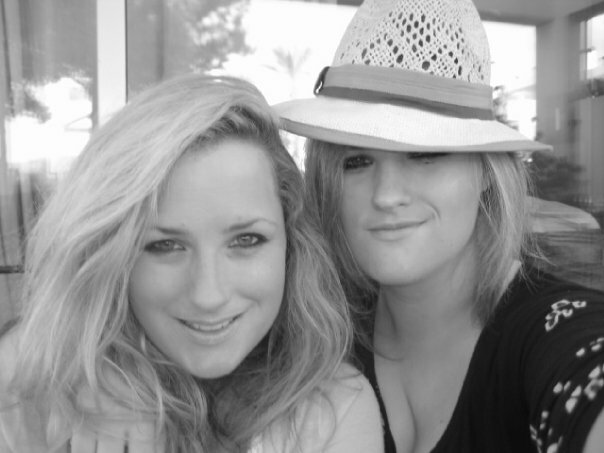 Then there are my daughters Emma and Hattie. And let’s not forget our cousins Tim and Alastair. This photo was taken at a family wedding. It’s the only photo we’ve got of the four of us as grown ups. 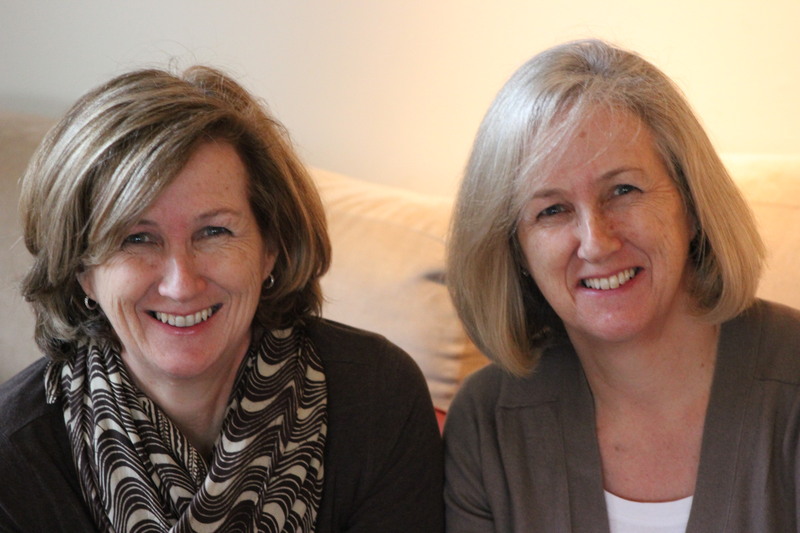 As a family we seem to disprove many of the myths and theories about identical twins. There’s the one about non-identical twins being hereditary and identicals being a fluke of nature. Ummmm. Three sets of identical twins in two generations – that’s a pretty big fluke. Then there’s the one about twins skipping a generation….. I grew up believing this. It never crossed my mind for a single second that I might have twins. It was the biggest shock of my life. 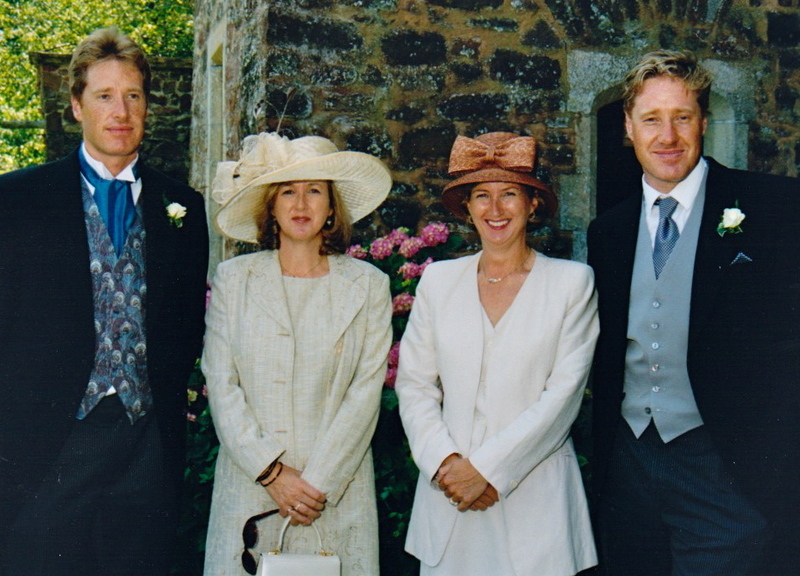 A nice shock but even so…..
And what about twins passing down the female line? 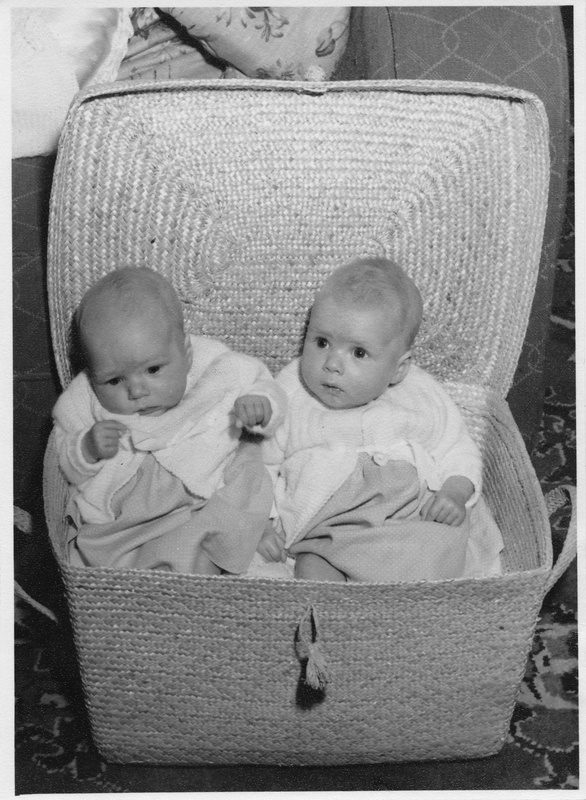 Our mother and her brother both had identical twins. Another coincidence? It’s hard to believe….. So we’re an odd bunch. But happy to be so. Here are some more twin family snaps. 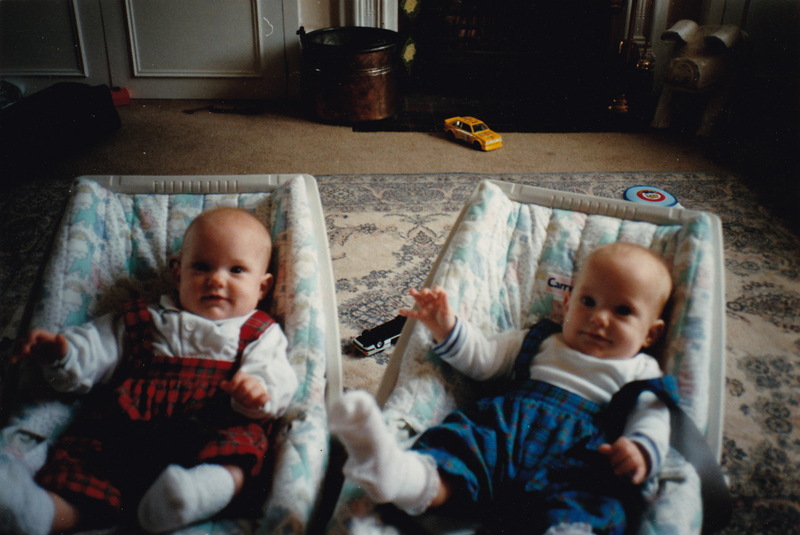 They were the most cheerful babies. 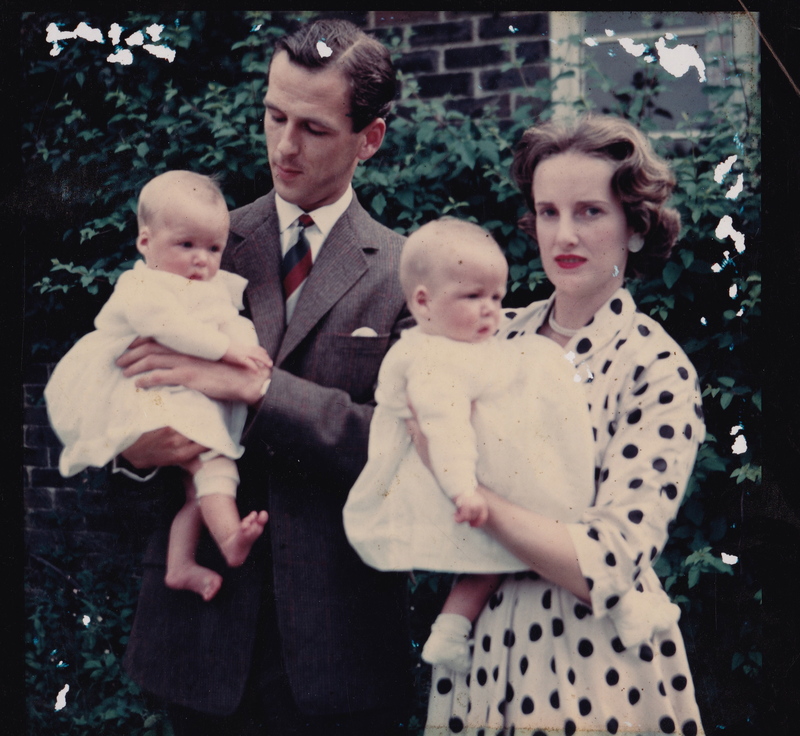 This is Mary and me at our christening with Mary held by our father and me by our mother. This is one of the few photos we’ve got where someone has written on the back. But we’d know which was which anyway because Mary has a bandage on her leg. The joys of being a twin – you get identified by what you wear. Even if it’s only a bandage. 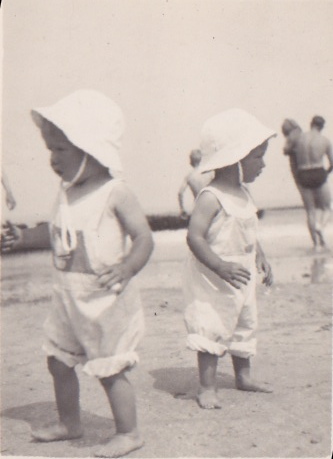 Our mother always insisted she never dressed us in the same clothes when we were young. 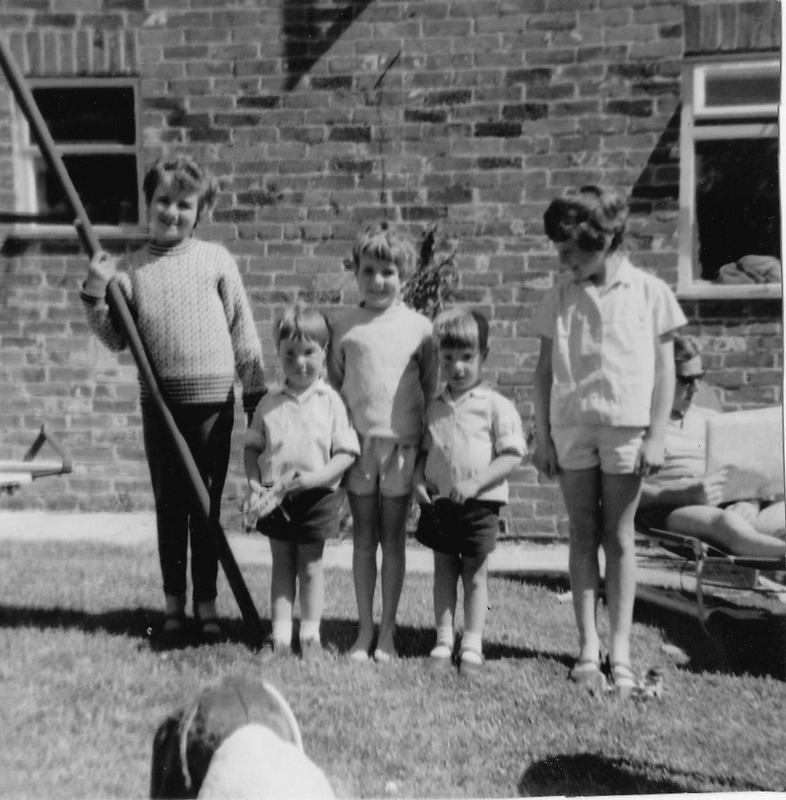 But there are very few photos of us up to about the age of ten when we’re not dressed in identical outfits. How young our parents look. Dad was 27, Mum 26. They look a little nervous, don’t you think? And who can blame them…. Here are Emma and Hattie at their christening. (Emma held by Graham, Hattie by me.) It’s 1989. Graham was 32; I was 31. We already had James. He had turned up 15 days late on December 7th, 1986. December 7th, 1986 was my 29th birthday. The birthday I already shared with Mary. We like to group birthdays in this family. It makes remembering the date so much easier! 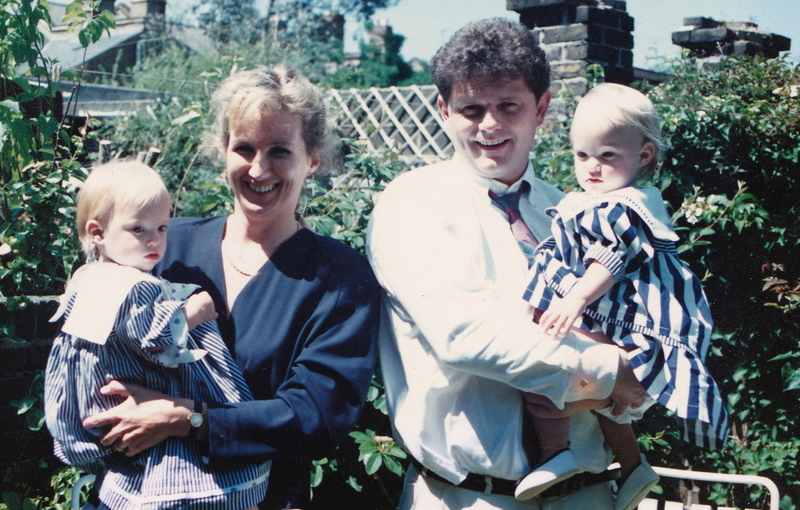 This is the only picture we’ve got of Mary and me and Tim and Alastair when we were young. The one in the middle is younger sister Lucy. She’s got a few stories to tell about growing up with twins! 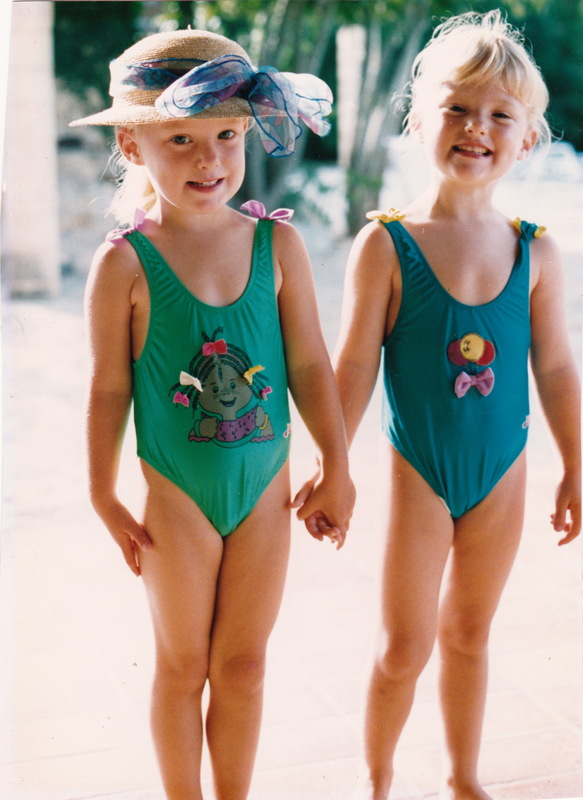 And then there are the obligatory bathing suit shots. First Mary and me …. Another photo where we’ve got no idea who is who! It’s easier with Emma and Hattie…. Hattie’s in the hat! So there you have us. Three sets of twins in two generations. One of the questions we get asked all the time is ‘what’s it like being a twin?’ It’s a tricky one to answer. Because we don’t know what it’s like not being a twin.